Looking back on 2015: Where was the cloud? Where is it now? | Faction Inc. Looking back on 2015: Where was the cloud? Where is it now? This year was a big one for the cloud. Between business agility, greater ability to collaborate and better disaster recovery options, the benefits of cloud computing have never been more clear as we move forward into 2016. The certainty is that companies have made great strides in embracing cloud architectures and tools in 2015, and that will no doubt continue next year and in the years to come. Nearly every article online about the cloud this year devoted space to talking about how fast the cloud is growing. Companies are now using the cloud in increasingly interesting ways. For instance, in the manufacturing industry the cloud is being leveraged to synchronize data across multiple points in an organization or across multiple points in the supply chain. For example, Area Development noted that Accuride, a company that produces wheels and wheel-end components for commercial vehicles, implemented cloud solutions to great success, making paper records obsolete and enhancing productivity across the board. Instead of having to manually write down numbers and then input them into an Excel file on a daily basis, the cloud connects the manufacturing equipment to their reporting software. “We now are able to get that information directly from the machines, taking out three layers of wasted time,” said Paul Wright, director of IT for Accuride. Overall cloud market: Earlier in 2015, Bessemer Venture Partners reported that total market cap for the 42 largest public cloud companies would exceed $500 billion by 2020. The overall cloud market is projected to reach a value of $127 billion by 2017, according to Global Industry Analysts. Mobile cloud: A report by MarketsandMarkets predicted the mobile cloud market would be worth $46.9 billion by 2019, growing from 2014’s value of $9.43 billion at a compound annual rate of 37.8 percent. Cloud security: A separate report published by MarketsandMarkets in 2015 found that the cloud security market – which includes services like data loss prevention, disaster recovery and firewall implementation – would be worth $8.71 billion by 2019. While public and private cloud adoption are both on the incline, some companies have decided to form partnerships with cloud providers instead of offering cloud services of their own. For instance, HP Enterprise announced in October that the company would be closing down its Helion public cloud offering in favor of partnering with Microsoft Azure to help its customers connect to virtual environments. However, what has this done for the cloud market, and what will it do in the years to come? Something must be said for taking an option out of the market and diminishing the number of offerings that companies have to choose from. 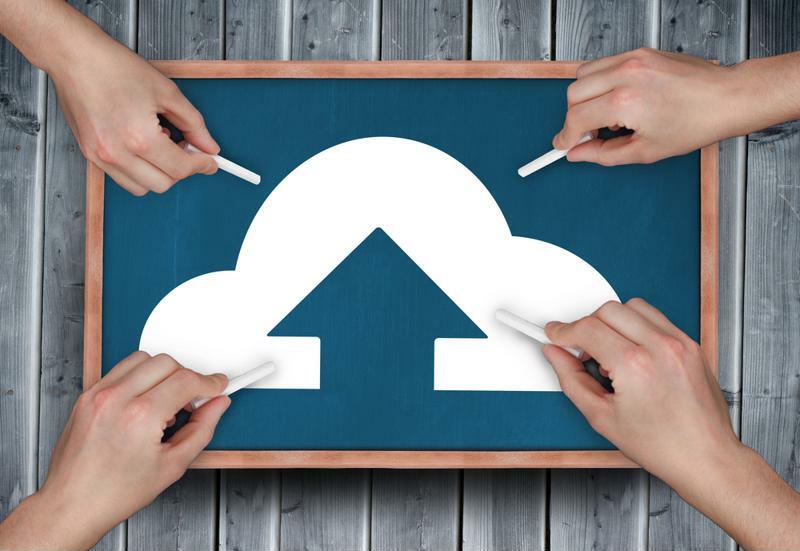 The cloud market is looking up as we move into 2016. Some private cloud providers, like Faction, offer a one-stop-shop for all things cloud, and 2015 was a big year for these avenues as well. Faction’s Cloud Marketplace connects potential customers with cloud channel partners and allows clients to build their cloud environments using the tools offered by these partners. This marketplace fosters fine-tuned cloud infrastructure and promotes overall IT functionality. In 2016, the cloud is bound to see an even bigger jump in functionality. As more companies move their data and applications to virtual environments, it will become less about who has the cloud and more about what it’s being used for. Verizon’s 2016 State of the Market: Enterprise Cloud report stated that now 87 percent of businesses use these kinds of tools for their mission-critical workloads – the cloud is no longer a business differentiator. In other words, the important question to ask is: How is the cloud being used to create business agility and stimulate growth? What tools or functionalities are being leveraged? What will 2016 hold? Gartner predicted in November that there would be 6.4 billion connected things in 2016, which is a 30 percent increase from how many there were in 2015. Cloud expert David Linthicum wrote for InfoWorld in 2014 that the cloud is the “secret weapon” of the Internet of Things, meaning there would be no connectivity within the IoT without the cloud. This points to big things in the next few years for the IoT and cloud capabilities. One thing is for certain: The cloud is going nowhere – or everywhere. As we look forward to 2016 and beyond, virtual infrastructure will not be going away anytime soon.